- Each day to receive 10 free adventure "Light Hall". - Top-up 1 Gold to get 1 Tool; Exploring "Sleeping Hall" once consumes 300 Tools. Maximum of 10,000 Tools per day. - In the process of exploring the Light Hall, can encounter Monsters, kill Monsters get rewarded day! - Material to earn rewards from "Sleeping Hall" and "BOSS" exploration. - The materials will disappear when the event ends! Be sure to change the materials to avoid wasting money. 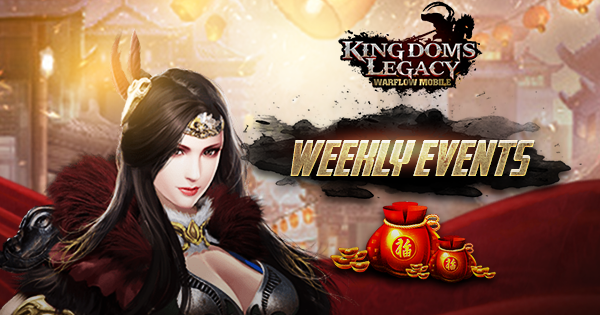 Kingdoms Legacy: WarFlow Mobile Team.